Drive around town in style for less in the used Ford Edge. Almost brand new, this SUV is the definition of contemporary design. Even with 54,857 miles on it, this vehicle has plenty of more roads to travel. Its a v4 Ingot Silver Metallic SUV that offers drivers flexible cargo options. Interested in this SUV? 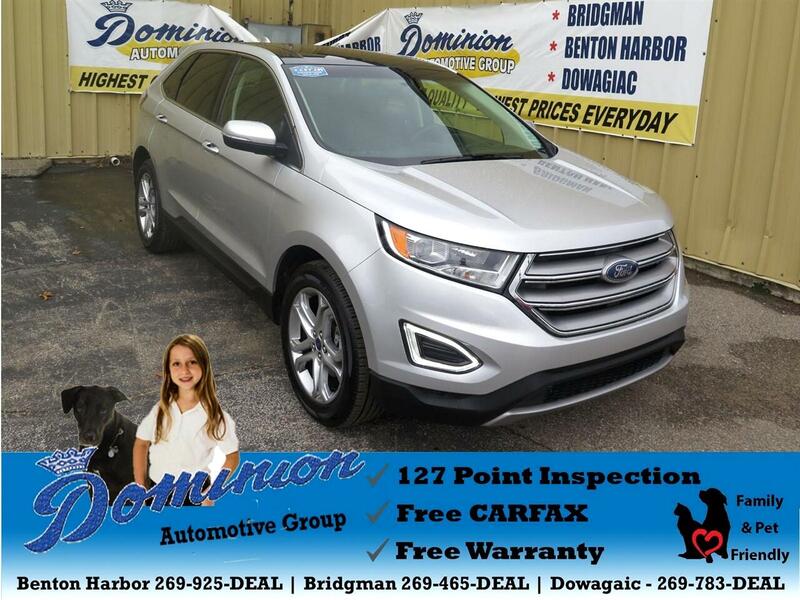 Visit Dominion Automotive Group to schedule a time to test drive the 2017 Ford Edge.